This timber post and beamSubstantial, usually horizontal structural member. 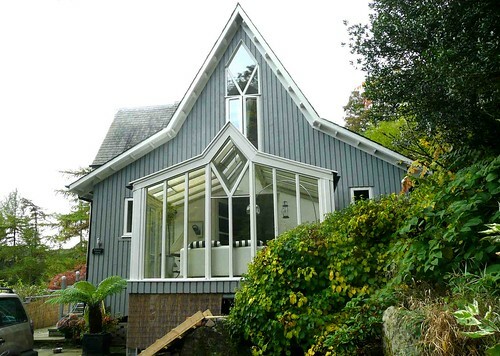 house in Aberfeldy pioneered “breathing construction” in the UK. Designed by Gaia Architects and built in 1992 this well insulated passive solar house also has a wood burning stove and stack effect cooling for summer. The building materials used were chosen for being non-toxic and natural. Could you tell me more about the roof material on this beautiful house. I am intrigued to know about the ridge cap material.